Yeah, this title was partly inspired by the 1999 Heath Ledger/Julia Stiles teen romantic comedy, “Ten Things I Hate About You.” However, it’s also inspired by a spiritual exercise I did several years ago that amazingly renewed my worship of God. But first let me give a little context. We left our discussion on “viewing the mercies of God” on the topic of 3D perspective. If we can grasp God’s love and character in three dimensions (breadth, height, depth), the natural response of worship flows freely and powerfully. This morning I want to share specifically about how we can expand the “breadth” of seeing God and His mercies. Then, dead silence … for a very long time. It was a little embarrassing for me, not only because the praise exercise was disintegrating rapidly, but also because I could not come up with more characteristics of God! It was painful to realize that this Pastor of Worship’s “breadth” of viewing God was severely limited. But more important than coming up with a list of attributes, my heart was opened up – wide. My God is not just powerful, loving, holy, gracious and forgiving; he is also Creator, Redeemer, the Provider, my Righteousness, the Alpha and Omega, the good Shepherd, the great I AM, and so on. My God became “bigger” before my very eyes. I think that’s a part of what “magnifying the Lord” means. 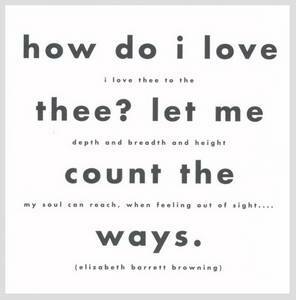 I am reminded of Elizabeth Barrett Browning’s famous poem, “How Do I Love Thee? Let Me Count the Ways.” If we really love someone, we should be able to come up with dozens of reasons why. And there are hundreds, if not thousands and millions of reasons why we should love God. But to just say that means nothing. We have to name them, recite them, remember them, meditate on them, expand on them. That’s what “breadth” means: knowing the many, many ways God is great and merciful. So, how is your “breadth perspective” of God? Try listing out as many qualities of God and then read them over and reflect upon them. Then worship Him … with your whole life!